If you have built up some equity in your home or investment property, a line of credit loan (LOC) may be a great way for you to access that equity. So, what is a line of credit mortgage? It is similar to a normal home loan in that you will need to apply and qualify for the loan in much the same way as any other home loan. The key difference being that the LOC will have a pre-determined credit limit and you can draw down these funds as you need to up to that limit. Most LOC’s are interest only, allowing you to repay the principal as it suits you. Say your home is currently worth $500,000 and you current mortgage is $100,000. If you were to take out a line of credit loan against your home to purchase an investment property, you may need to borrow an extra $80,000 and for the purposes of this example, you may need an extra $50,000 for renovations, costs of the purchase etc. So we would arrange for a line of credit loan with a pre-approved limit of $230,000 ($100,000 +$80,000 + $50,000). You would immediately be able to draw down all of these funds if needed, but would also be able to keep say the $50,000 to use at a later date for those renovations, without the need to reapply for the loan. It is similar to a huge credit card where the repayments can be made monthly on the outstanding balance of the loan, or, paid out in full. However, unlike a credit card, the interest rates are quite low. You can also team a line of credit loan with a credit card that has an interest free period, as a way of paying off your home loan faster via the offset savings, but this strategy may not suit everyone. You must be quite disciplined, resisting the temptation to overspend. Remember that only additional repayments will really help you to reduce your mortgage at a quicker rate. 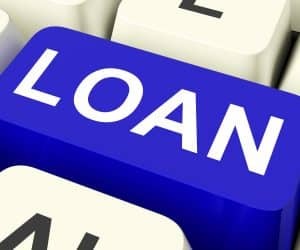 Like any lending product, a line of credit loan will be of benefit to you only if it suits your requirements. To help you determine if this would be right for you, please give us a call.